Customize the hell out of it! The theme options page allows you to change background and font colors, the layout of category pages and much more. 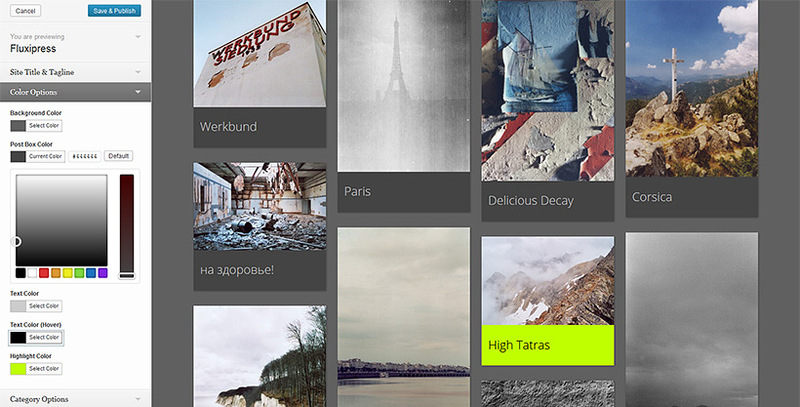 After activating the Fluxipress Theme, navigate to Design > Themes, click on Customize and go wild! 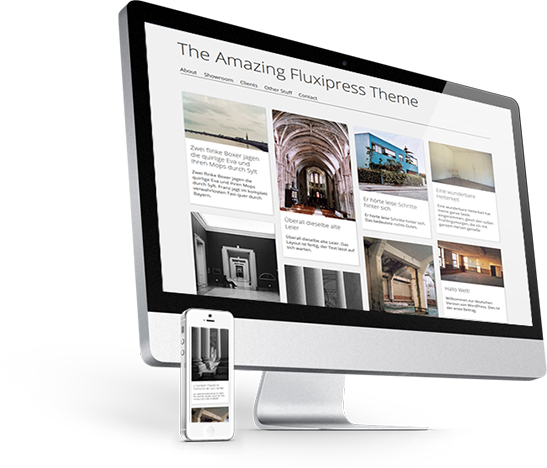 The Fluxipress Wordpress Theme makes use of tried and true Wordpress features that help you manage your content with ease. 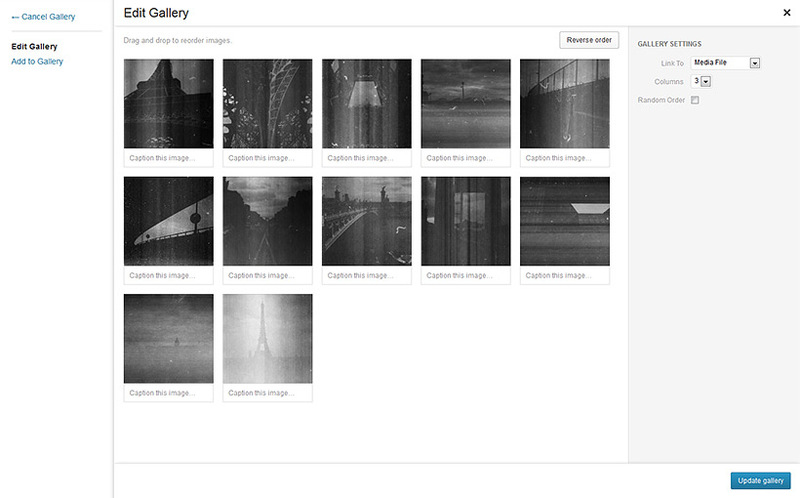 Organize your images with the built-in gallery system without bothering with thumbnail upload and the hazzle of implementing a lightbox plugin. It's all there! While being very lightweight in appearance, the Fluxipress Theme can handle content-rich websites as well. Use the drag'n'drop menu function of Wordpress to structure your content without touching a single line of code. The footer area can be stuffed with plenty of widgets – blogroll, copyright info or any other function you can think of.